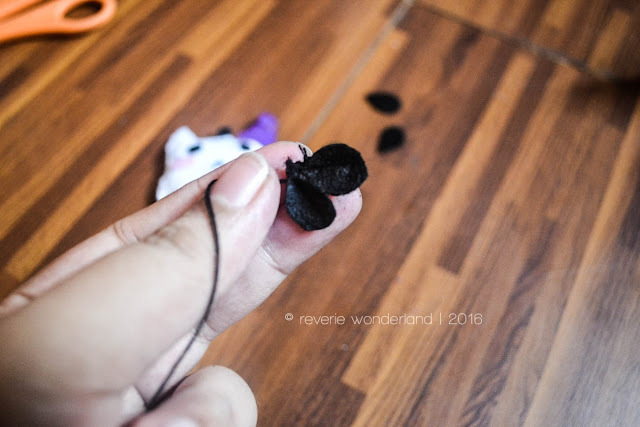 One afternoon, I decided to look for something to do since I am already done with my backlogs from my other blog. And while I was looking for something, I decided to listen to a Japanese radio show uploaded at YouTube on which my favorite Japanese voice actor was the host. And while looking for the video's thumbnail (with no particular reason at all), something pop-up on my head and I ended up looking for materials to use. Hi dreamers! Today, I'll be sharing to you on how to make a simple cellphone accessory. It's actually hard to look for some items which is not available at any stores so why not make our own version of it? 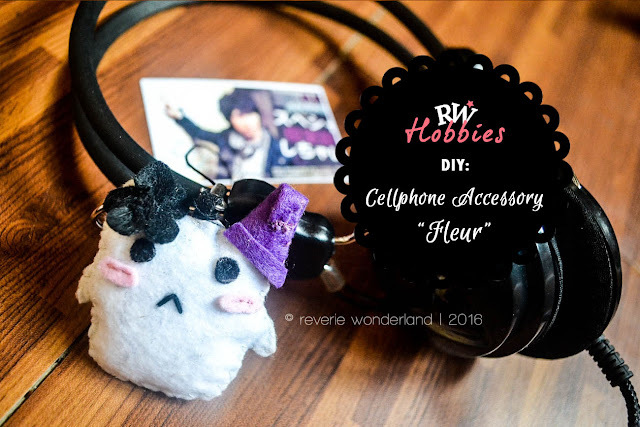 You can actually make cellphone accessories for gifts and of course if you are planning to start a small business (and by the way, making cellphone accessories was my source of income when I was in college and it helped me a lot on paying fees and for my everyday allowance). 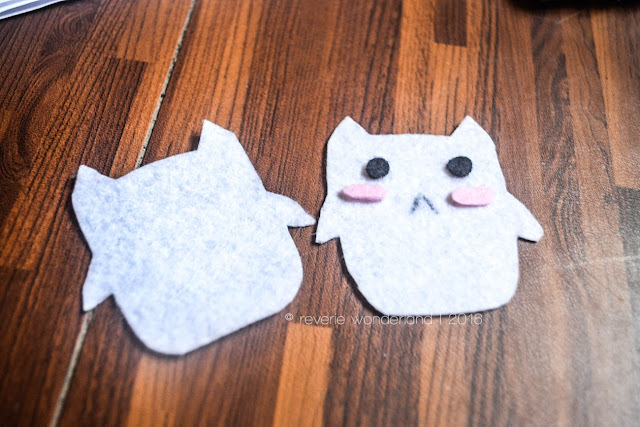 I decided to make Fleur (Fururu). 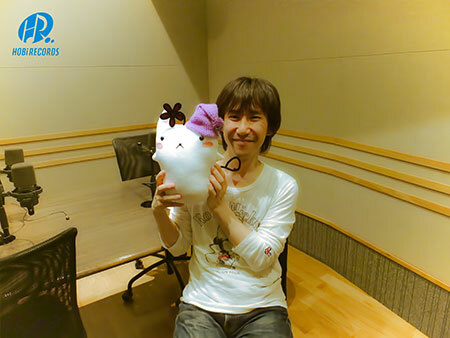 She's the mascot for Hirakawa Daisuke's radio show titled: Hirakawa Daisuke no Oyasumi Fleur Radio Show (平川大輔のおやすみフルールラジオ). She's so fluffy and adorable and aside from that, this mascot 'talks' as she also was Hirakawa Daisuke's co-host on the said radio show. (1) Draw your pattern/concept. I first drew Fleur on a used paper I found at my bedroom. I also put notes on what color to use on her parts like her hat, her body, etc. I also measured it on how big or small should it be when I hang it on my phone. SM Department Stores (at Stationary section), they have a pack of 6 colored, 8"x11" felt fabric for Php 30.00/pack. Expressions Book Store. They have individual colored felt fabric for Php 20.00 each and the size is approximately 8"x22". I forgot the store name but you can look at the fabric store at Farmers, Cubao (located at the second floor).They have a wide range of felt colors which also differs in softness. Also available at Divisoria at fabric stores. (3) Start to cut out the body and other parts that are needed to cut out. 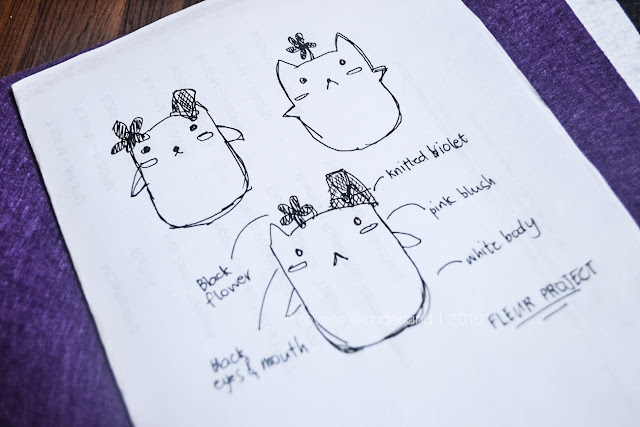 I started cutting out Fleur's front and back body pattern, its eyes using a puncher, pink felt fabric for its blushed cheeks, black fabric on where I will attach the cellphone chain for later and I also drew out its mouth using a pencil. (4) Start gluing/sewing the details of the body. It will be easier to do this first before starting the sew the body. I hand-sewn Fleur's eyes with black thread, its blush using a pink thread and using a black thread, I followed the pattern of its mouth. 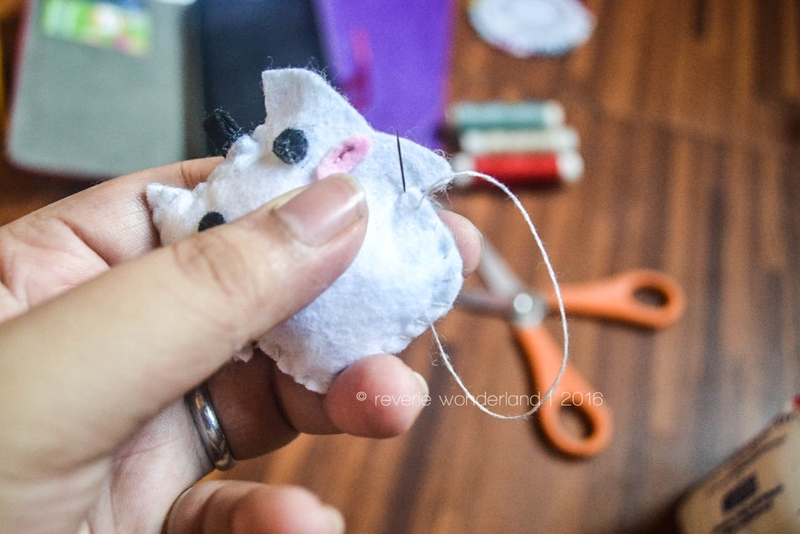 (5) Start sewing the body. Carefully hand-stitch the body and keep it neat as much as possible. 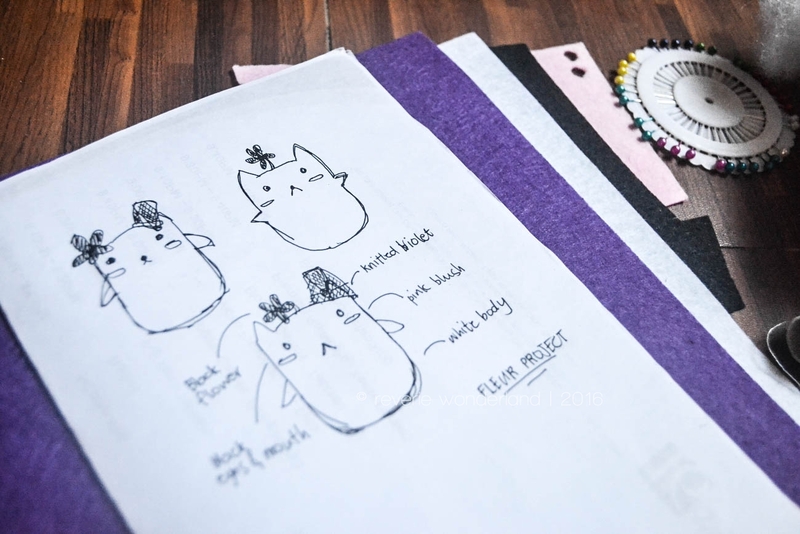 Use small stitch pattern for the body. Leave a small hole at the side. 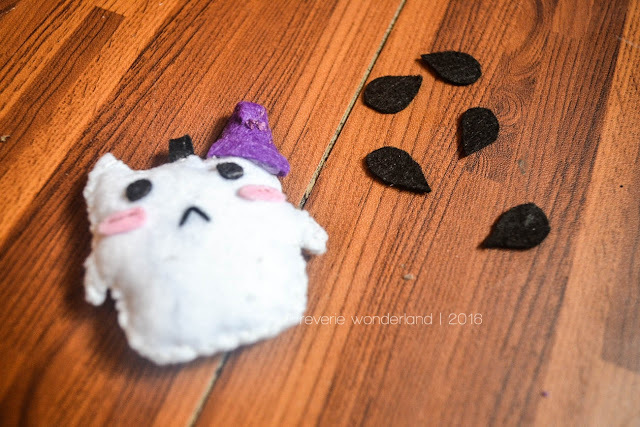 Prepare some stuffings (cotton or polyester fiber fill) and put it inside the body to make it fluffy. You can buy polyester fiber fill on fabric stores. Its almost done! Now time to make other parts that are needed to complete the details (the black flower on its right ear and night cap on its left ear). (6) Be resourceful. 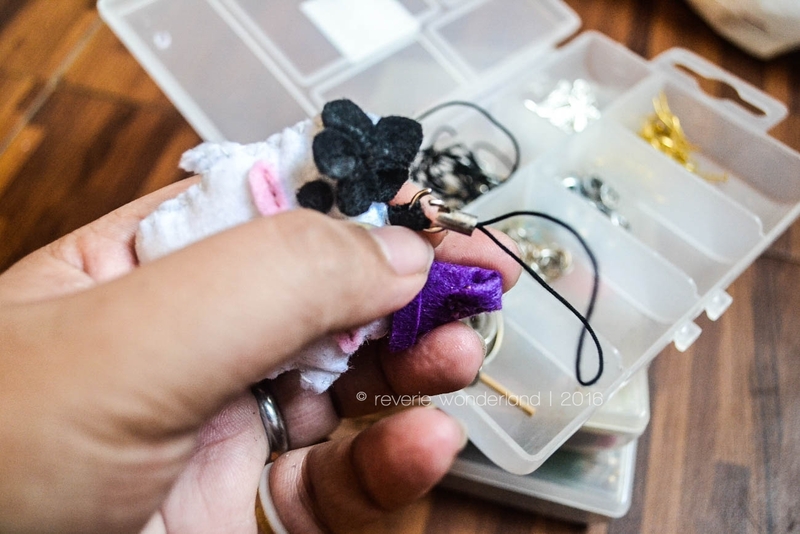 It will be much easier if only I have an available flower bead but unfortunately I have none. 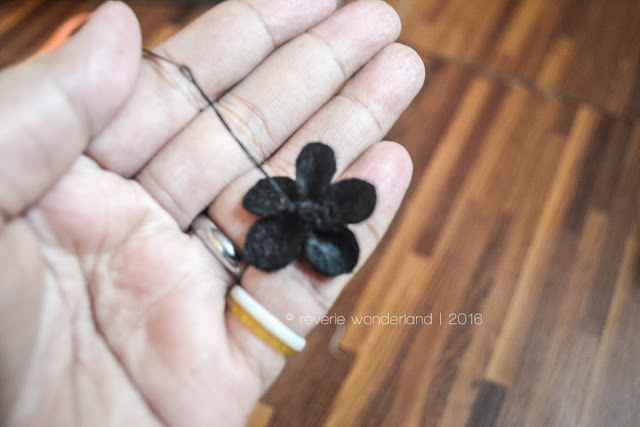 So I decided just to make my own, cut pieces of black felt cloth and started sewing it until I made a flower similar to Fleur's. Ta-da! Now ready to be sewn on its ear. (7) Don't forget the chains. Cellphone chains are available at fabric stores and also at book stores. I found mine at Expressions Book Store for Php 20.00/pack. I also bought some more at the fabric store I found at the local market near my place for a cheaper price. Actually, its been a long time since I last made a cellphone accessory because I've been busy maintaining different blogs at the same time. I am happy on how Fleur looks like after I made it! 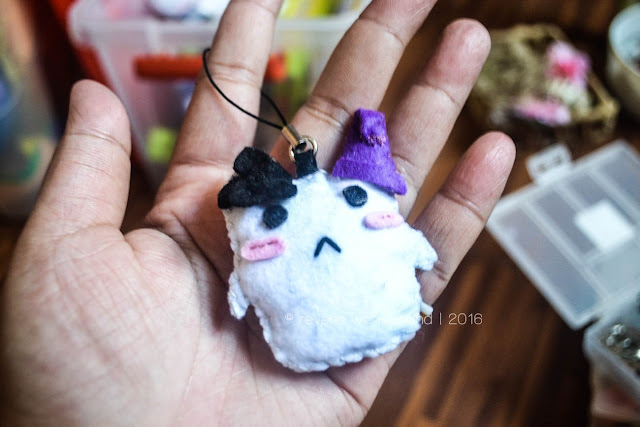 And now I have my own cellphone accessory. It made me feel closer to my favorite Japanese voice actor (hahaha!). If you want to pursue making this, all you need to have are creativity and patience.